Gracie Lee – El Capitan is beautiful! It feels so homey to camp there. I also love El Refugio, you should check it out next time you’re in town. The spots are oceanfront. It’s nice for one night but I definitely agree that El Capitan is best for longer stretches. If you ever get tired of camping in Santa Barbara I also recommend checking out The Sandman Inn (www.thesandmaninn.com). It’s a really quaint, budget-friendly hotel, and it’s hard to come by nice places that aren’t outrageously overpriced in SB. It’s also close to lots of great hikes and the Mission! Happy travels! alej – thanks for the suggestion, gracie – i’ll look into it! we did check out el refugio but we didn’t like how everyone was on top of each other so we chose to stay at carpinteria again. Michelle Kunzelmann – Such great pictures! And that camping gear looks sweet! Clarice – Oh she’s gorgeous and what great variety. Such lovely shots. Michael Anthony – Pretty girl, beautiful light, awesome tones! The whole package! PamN – I seriously can’t pick a favorite – these are fantastic! Katie – she is gorgeous! She looks like a covergirl! Sindea Horste – Wow, not only is she a stunning beauty, but these photos are amazing! Anna-Karin – She is so pretty!! Gorgeous lighting and colors. Great head shot’s variety! Erin Oveis Brant – These are fantastic, Alej! Lisa Kelly – Oh.My.Goodness. She’s stunning, her makeup is flawless and your imgaes are so crisp and perfect. Sarah Metz – Love these! She’s stunning, and your work is gorgeous! Love the color and light. Amy Rader – It’s all in the eyes. She is gorgeous and the photographs are stunning. Great portfolio. Christy Johnson – Wow! I love the color in these, and she is just gorgeous! Renee Giugliano – Whidbey Island Photographer – LOVE the variety of colors and personality through each one! Gorgeous! claire – Holy Gorgeous! These are fantastic!! Tara McGlinchey – Great job on these! Love all the different looks. She is gorgeous. Samara – I always love seeing your head shots and these are no exception! Full of color, fun, personality – she must LOVE these! Sarah Duckworth – She has AMAZING eyes – I love these – I wish I had some head shots like these! Kristin – I love your work!! She is gorgeous and I love the variety, the expressions. Paula – These are beautiful head shots. Love the light you captured in her gorgeous eyes too! alpana – gorgeous girl!! love the photos. Sophie Crew – Oh LOVE! What amazing colors and clarity, plus she’s just gorgeous! Gen – Agreed with everyone else. Great variety of headshots! I bet she was happy!!! Paula – Love baby in sink photos..these are amazing and have such a natural feel to them. Laurie – LOVE him. He looks so chill in there! Renee Giugliano – Whidbey Island Photographer – These are so adorable! I remember when I had my babies taking baths in the sink! Brought back so many memories looking at these! So cute! Lisa Kelly – He truly is adorable. The second image, of him looking right at the camera is gorgeous. I love a baby in a sink bath by the way, it’s so cute. Christy Johnson – He’s so adorable! I love bathtime photos! Sophie Crew – So adorable! Love sink tubs!! hehe! He looks like he’s having so much fun! PamN – His parents will only love these more as he grows; so timeless! 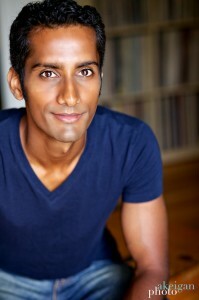 New York City Headshots – Good shots. It seems that the baby seem to enjoy the photo shoot. Its like he’s smiling from all of his pictures. happy hearts photography – awesome! Shanna Kreza – These are really great! I love the clarity! lauri – He’s quite handsome! Lovely images too. Sophie Crew – These are great! Love the lighting and rich colors. Handsome guy too! Kristin – Awesome shots. I love the depth and richness. Christy Johnson – Very cool images! Paula – Awesome head shot work! Love your use of light to capture his eyes..wow! Lisa Kelly – Ummm, I’m stuck for words. Okay, here’s one. WOW, heres another, CHISELLED. haha. These images of him are amazing. I’ll end with WOW. Lysandra – Sounds lovely! I went to school at UCSB and had a million friends at UCSC you are covering some beautiful ground. jacksonville wedding photographer – I love your creative eye! Great!